Hi Everyone, welcome back to Wplus9 Day 3 February 2015 Release Previews. 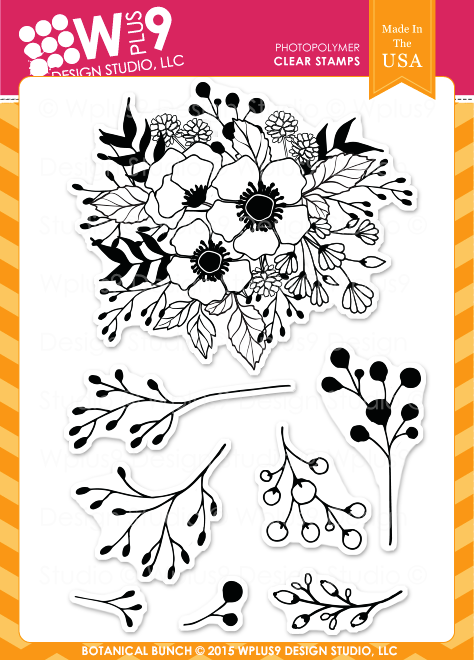 Today I am showcasing the gorgeous flowers of the release called Botanical Bunch. For my card I used the big flower image perfect the upcoming Mother's Day. To begin my card I first stamped the flower image on a separate white cardstock with Coconut Husk dye ink and colored it with Copics in Y21, R20, RV11, R30 for the flowers, BG10 & YG11 for the leaves. Next, I fussy cut the flower image and put it aside for awhile, then I die-cut my frame using the past released Foliage Frame die in white cardstock, to make my flowers stand out. 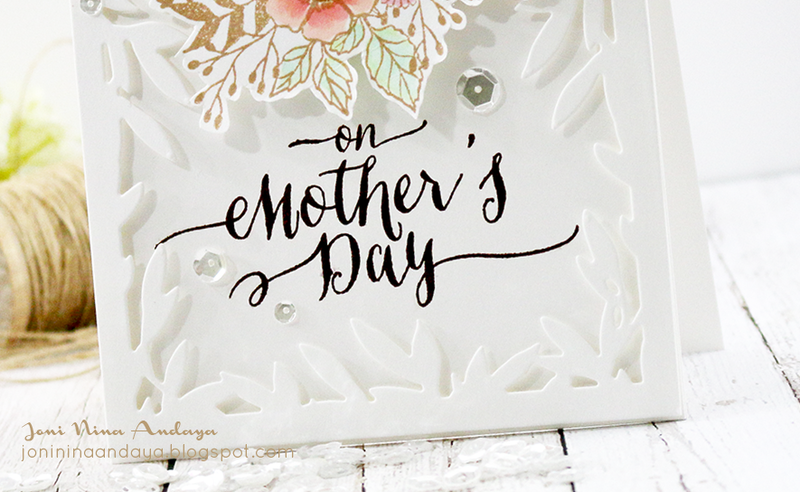 Next, I stamped my sentiment "on mother's day" using the Strictly Sentiments 4 stamp set in black. Then, I assembled the pieces. The frame I adhered with foam tape as well as the fussy cut flowers. For the added sequins I used the Pretty Pink Posh sequins in Sparkling Clear and Sand. 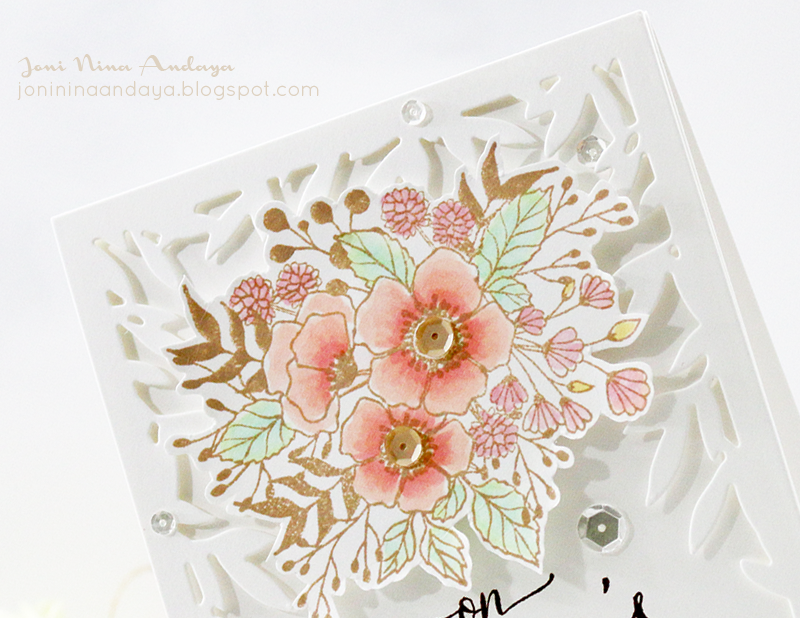 Love the selections of color to pop up the botanical bloom and beautiful use of Foliage frame die, totally love it! This is stunning!!! Really gorgeous job!! Thanks for the inspiration! Oh, wow, this is gorgeous! So beautiful! Love it with the diecut! Your card is stunning. Love how you paired it with the Foliage Frame. Thanks for the inspiration. This is STUNNING!! I love the soft colors you used to color in those lovely flowers. 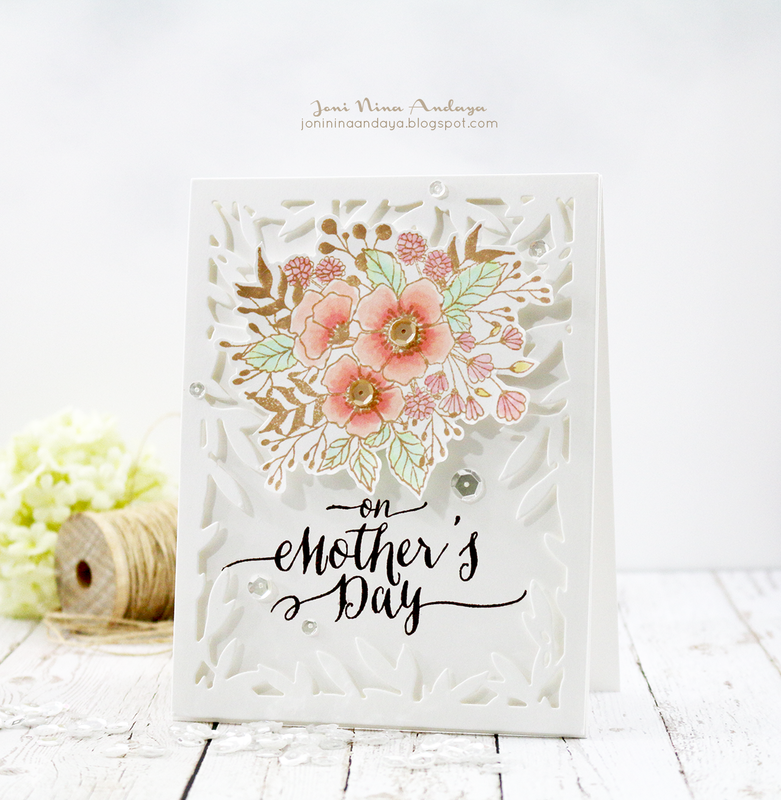 The die cut frame you chose is perfect for this card. So beautiful. So beautiful! LOVING the flowers!!!!! So gorgeous and beautifully colored--love it! omgggg your card is beyond gorgeous!!!! this stamp is definitely a must-have after seeing how you used it!! WOW!! 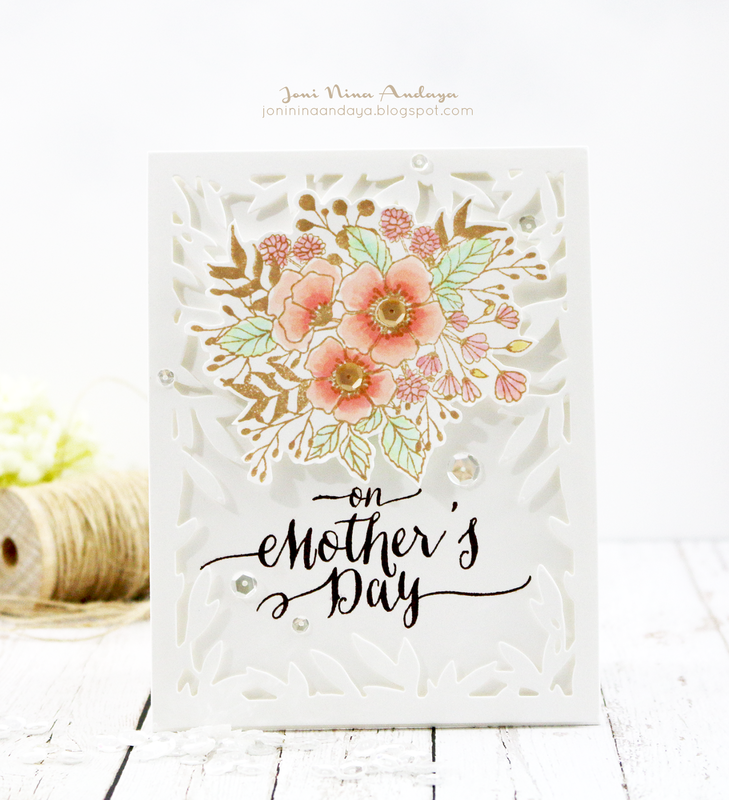 Way to go you for making a softly colored beautiful card using past & new releases to really showcase how beautifully they work together!! Beautiful coloring on this lovely spray of flowers! The foliage frames it so well! I'm taking so much inspiration from your work. I'm a lurker, I rarely comment but this is so gorgeous I had to say something. Love your work. So gorgeous Joni, soft and romantic!! Such a pretty card, and lovely stamp set. Lovin' the new releases. You always blow my mind Joni! and this one is no exception! I need these new stamps! !